I've always struggled with the question of how do I review the last book in a series? On one hand, I want to discuss everything and on the other, I just want you to go read this book. A Conjuring of Light was easily one of my most anticipated books of this year and I'm devastated that it's now over. I had ridiculously high expectations going into this book after falling absolutely in love with the first two and I'm happy to report that not only did it live up to them, it surpassed them. In my opinion, this book was the epitome of what the conclusion of a favorite series should be. It was perfect! The only time I could put it down was when I needed to take a break to calm myself down. It was full of action, adventure, a touch of romance, and it didn't pull any punches. This book doesn't shy away from death and there were a few deaths in this book that just gutted me. A Conjuring of Light is one of those books that will devastate you while managing to keep your hope that everything will turn out okay. There were several moments that made me curse and yell at the book and it made me cry but those moments were balanced out with moments of dry humor that were delightful to read and with some truly beautiful moments that made me so happy I hugged my Kindle. There are more than a few scenes that I've gone back and reread at least ten times since I finished this book. Thank you, Kindle bookmark feature! One of my favorite things about this book, and one that caused me the most heartache, was learning more about Holland's past. It was astonishing to see who he was before the Danes had gotten a hold on him. I also loved seeing the progress that Kell, Lila, Rhy, and Alucard made in their own character arcs. Each of them has changed significantly from when they were first introduced but they still fundamentally remained the same in some aspects. 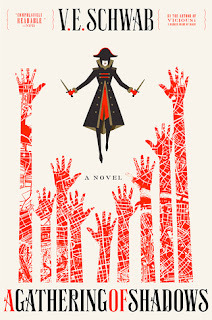 All I can say to V. E. Schwab is thank you so much for these characters! Especially for the delightful and terrifying scamp that is Miss Delilah Bard. She has easily become one of my favorite female characters ever. This book is a long one clocking in at 624 pages but it's also one I never wanted to end. I will miss all of these characters so much. It's been a journey to read their stories and I'm so happy with how this series ended even though it was also painful. Let's just say my heart is full of so many emotions when I think of this series. Everything was wrapped up perfectly by the end but I have the feeling that this world still has stories to tell us. In fact, Schwab herself said in a Goodreads email, "... remember: when it comes to this world, new doors are always being made." So, this isn't truly a farewell to the world. Just to this arc and even then it's not really a goodbye. The Shades of Magic series will always be waiting to be reread over and over again. So instead of goodbye, I'm going to say Anoshe- until we meet again another day. This week's topic is Books to Get You Out of a Reading Slump. Winter is a hard season for a lot of people and many of us are slumpy. 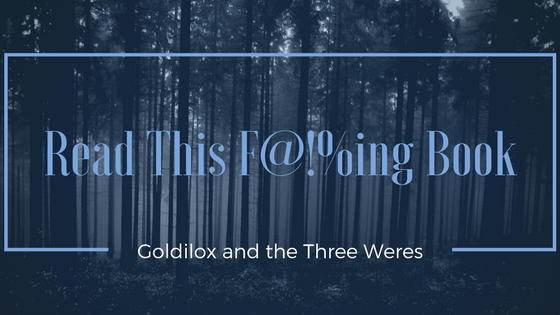 Let's talk about some books that are great for getting you out of a slump! I know that sounds wrong - get out of a reading slump by reading a whole series, but it's worked for me a few times. I think maybe it's because it takes off the pressure of having to find your next book for a while. Or maybe it's just that I'm a natural binge reader. It's fun to be able to pick up the next book the minute you finish and stay in that world for like a week. What books do you read to get out of a slump? Cheating death twice in a week should at least merit a vacation. Too bad for Tallulah Corentine the rainy season is in full swing and her boss, the storm god Seth, has no intention of letting her rest. When a little girl bearing the mark of Seth is found dead at a Seattle marina, Tallulah worries it might be the work of her childhood flame Prescott, the right hand man to death herself. However things take on a much more sinister aspect when she learns other would-be clerics have gone missing en route to temples across the country. 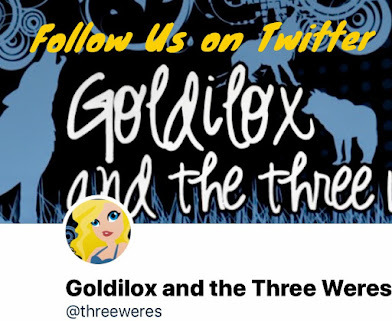 As priests and clerics from all over North America make their way to the annual Convention of the Gods in Las Vegas, Tallulah begins to worry that someone might be planning to use the children and clerics to make one hell of a scary statement to a world audience. With the help of a charming demi-god, a teenage tag-along, and the man she knows will bring her nothing but bad luck, Tallulah must uncover the truth and stop an unthinkable plot before she and everyone she cares about ends up dead. Driving Rain is a very bingeable read-in-one-day kind of book. It's also the kind that will rip your heart out and hand it back to you one piece at a time. I loved it! 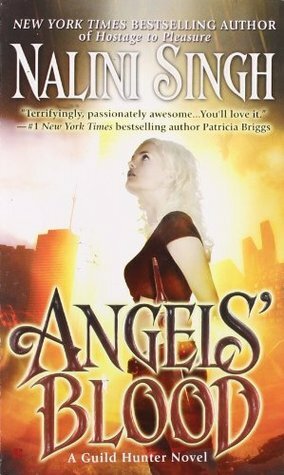 A few chapters in I felt like I was in my happy place, maybe because it's been a while since I read an urban fantasy. I enjoyed getting to see Tallulah on her home turf in Seattle at the beginning of the book, though I spent a few chapters wondering where the boys were. But then Leo is sent to join Tallulah on her next job and all was right in my world again. I'm loving the two of them together, though I still can't define their relationship. Maybe they're a bit like siblings? He'd be a great Sam to Tallulah's Dean if they continue to be partners - she keeps mentioning how freakishly tall he is. There's a lot less Winchester in Tallulah this time around though. Because most of the story takes place at the Cleric convention in Las Vegas, it doesn't really have that Supernatural road trip feel. Tallulah still loves her hair metal and eats just like Dean though. And then there's Cade who we get to see on his home turf in Las Vegas, looking a little different than he did in Thunder Road. I love their taboo relationship but I don't want to say too much about it for fear of spoilers. At the convention we also meet several of the other gods' clerics, including Tallulah's sister Sunny, as well as some new gods. I wasn't familiar with Macha, but I loved her. The whole system of religion in this series is just fascinating to me. (I talked about it a little bit in my review of book one.) This time I felt like we got more insight into the bureaucracy and how the ancient religions adapt to the modern age. And, oh yeah, Tallulah also has to solve a murder mystery during the convention or she'll face the wrath of an angry goddess as well as a killer. This is such a fun book! It's even better than the first one and I can't wait for more. This year we're going to try something new that we hope will help us tackle our TBR piles and keep us motivated to complete our #RockMyTBR challenges. 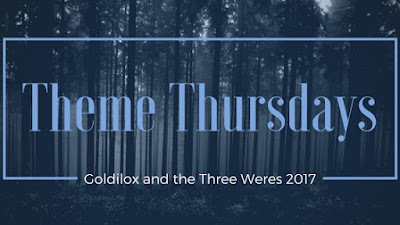 We're starting a new feature called Theme Thursdays! Each month, we'll review books from our respective TBRs that fit a theme we choose at the beginning of the month. February's theme is PIRATES! Despite A Gathering of Shadows being one of my most anticipated books of 2016, I just barely got around to reading it after several friends told me to wait until closer to the release of book three. And all I can say is Holy Hell! How have people coped with that ending for a year?!? While I loved A Darker Shade of Magic, I definitely adored this book more. It felt even more engaging and the characters felt so much more cemented in their personalities and confident. 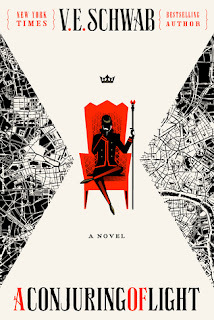 The story picks up soon after the first book with both Kell and Lila spending their time in Red London. Kell continues to stay with and protect Rhy, whereas Lila has found her place as a crew member of a ship. From page one, I was once again enraptured in Schwab's magical world of multiple Londons. There's just something magical about Schwab's writing. While is it full of complex world-building, political issues, inversed tropes, and various character dynamics, it is also incredibly readable. Personally, I can easily become bogged down by excessive detail regarding complex worlds and magic systems in fantasy, but I can honestly say that I never had that issue while reading this book. I was always immensely interested in whatever was occurring and couldn't put it down. And I have fallen head over heels for the magic system. I think the idea of the idea of elements and blood and bone being the main conductors of magic is brilliant and I loved that everyone approaches their element(s)/magic differently. I was thrilled that we got so much Lila in this book. And I totally get now why all my friends describe Lila's personality as "Everyone is like "Lila, no!" and Lila is like "LILA, YES!". After this book, I feel like we're starting to understand Lila, her motivations, and her overall demeanor. She is an incredibly strong-willed individual and she is not afraid of crossing any lines to do what is necessary, which is definitely something we get to witness in this book. Despite the trouble she gets into and causes, I find it impossible not to love her and to respect her for her sheer confidence and audacity. I loved Kell just as much as I did in the first book. He is still kind of a stick in the mud but he is fiercely loyal, and I think that's what makes him such an endearing character. He will never give up or turn his back on those he cares for. He is also extremely responsible with his strong powers which is admirable considering other characters. Although, I think we will see some different sides of Kell in the next book. As much as I love Kell, I was ecstatic that we got Rhy POV chapters in this book! 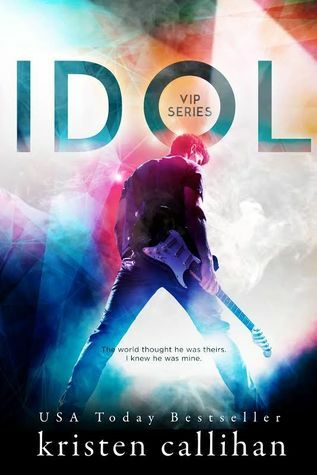 I loved seeing his character development in this book. 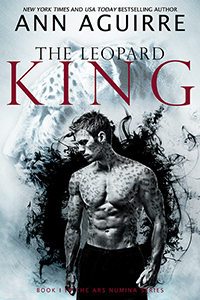 He struggles with becoming a strong, powerful king one day, and the inner conflict he faces between his own emotions and his obligations were truly masterfully done. Last but not least, my new favorite character in this series is Alucard Emery, the charming pirate captain. Or should I say privateer. I loved his character so much! He's witty, strong, sharp, and exceedingly amusing. I loved his relationship and dynamic with Lila. And I really want to know about whatever the drama is between him and Rhy. Every interaction between Rhy and Alucard was great and it created an interesting contradiction to what appears to be Kell and Alucard's mutual disdain for each other. This book was so amazing! I really could spout pages in praise of this book. The plot, the magic tournament, the world, the characters... everything was perfect! It was all I wanted it to be and more! 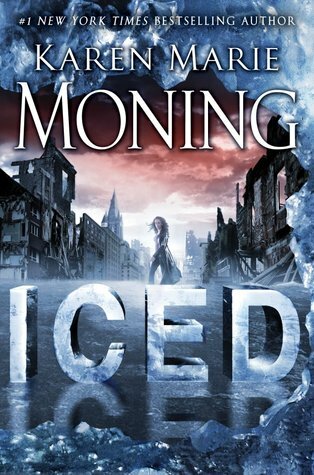 If you haven't read this series or this book yet, now is a great time to start. This week's topic is Favorite Non-Written Novels. This topic is all about the books that are not 'written' novels! So graphic novels, comics, manga, audiobooks, etc. I love this one! I read a ton of graphic novels and manga and I don't get to talk about my favorites as much as I would like to. That being said, it was super hard to narrow this down to a top five list. 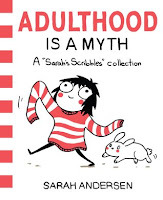 If you're not reading the Sarah's Scribbles comic, you need to go remedy that now! This collection documents modern life of a generation of young people from the awkward to the horrifying to the not so classy moments we all experience. It's laugh out loud hilarious and I can't help relating to so many of the comics. It's so great! This collection is absolutely adorable! It documents all those small everyday moments of being in love with someone. I adore this little book! It's one of my go to pick me up reads. This is a manga series that I just picked up a few weeks ago. It's a human learning magic from an inhuman mage and that inhuman mage learning how to be human. It's the perfect combination of silly, whimsical, and dark that creates a sort of twisted fairy tale. I'm intrigued to see where they go with this. Also, it's being made into an anime! I've been a devoted follower of The Awkward Yeti for a few years now and my love for his comics hasn't diminished at all. My favorite of his collections is the Heart and Brain comics. 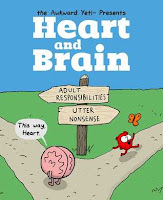 I go from laughing hysterically at the cynical Brain and overly optimistic Heart to relating to them hard. I can't recommend this comic enough! Yona of the Dawn is hands down my favorite manga that I've ever read. It's a reverse harem fantasy manga about a spoiled princess who has to regain her throne with the help of the four dragons from her childhood friend who betrayed and murdered her father. It's all about Yona growing into the person she needs to be to protect and regain her kingdom. The characters are marvelously done! You can't help but love and cheer on Yona's little gang of misfits. Also, the romance in this series is so great! Have you been following our February Bookstagram Challenge? We're having so much fun! 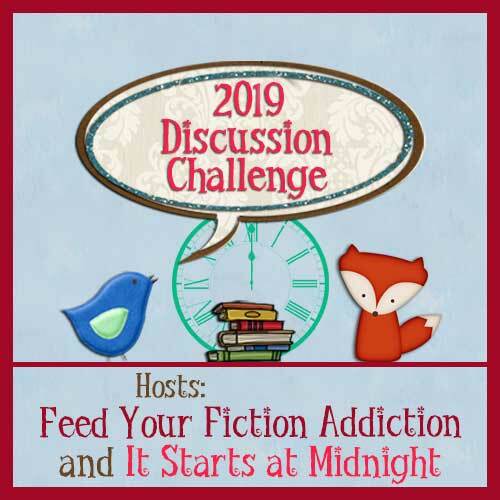 For the complete list of prompts and challenge details, see this post or click on the widget at the top of our sidebar. Today's prompt is #IShipIt so make sure to check out Instagram for everyone's favorite couples. Since it's Valentine's Day, I thought I'd share some photos from our #FollowYourHeart prompt. Here are the prompts for week three. Make sure your profile is public so we can see your photos! And don't forget about the giveaway! All of these Bookstagram essentials are going to one person who uses #G3WFebChallenge this month. This week's topic is Book Trends You're Tired Of. What are some things you are tired of seeing that are trends in publishing? Maybe something that pops up on a lot of covers these days, or the popularity of certain tropes in a particular genre? Let it out! Nothing turns me off from a book quicker than insta-love or a love triangle especially in YA books. I read a lot so I know there are some exceptions where both of these tropes have been used well in the story. But for the most part I think they're trends that need to die… by fire. I have no problem with characters having an instant connection to each other. But a connection is not the same thing as love. There have to be interactions and more than two days between meeting and declarations of love. One of my favorite things about reading romances is seeing the relationship develop between the two love interests. Please authors! PLEASE LET THEM INTERACT BEFORE YOU HAVE THEM DECLARING THEIR ETERNAL LOVE FOR EACH OTHER! Then SHOW me how their interactions deepen their feelings. I want to ship your characters, but you have to give me a reason to ship them. What book trends are you tired of? You might have heard we're hosting an Instagram Challenge this month. 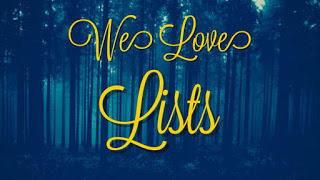 For the complete list of prompt and giveaway details check out this post. You can also get there by clicking on the widget in our sidebar. We're finishing up the first week so we'd like like to share a few of our favorite pics so far. On Sunday we posted our favorite sports themed reads. From top to bottom: Goldilox, Gretl, Rose Red. If you haven't joined in yet, it's not too late. Make sure you use #G3WFebChallenge and have your account set to public so we can see your pics.